The Alfa Romeo Milano will be forever remembered as Alfa's last true rear-drive executive sedan. It was called the 75 in other markets (reference to the 75th anniversary of the Milanese born Anonima Lombarda Fabbrica Automobili), but the Milano name was chosen for the US buyer for its 1985-1992 lifespan. 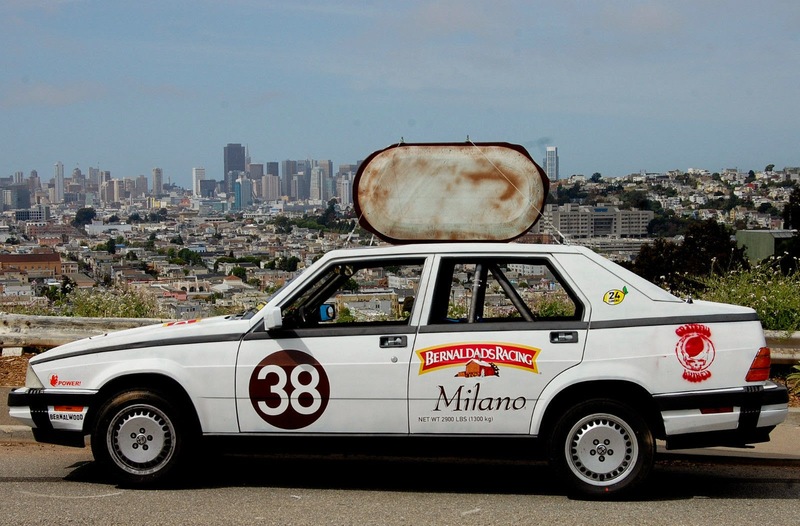 They are cheap enough to buy that some have been turned into mildly successful $500 crapcan racers...like this 1987 Alfa Romeo Milano racer offered here on eBay offered for$3,750 buy-it-now or make-offer on eBay, located in San Francisco, CA. 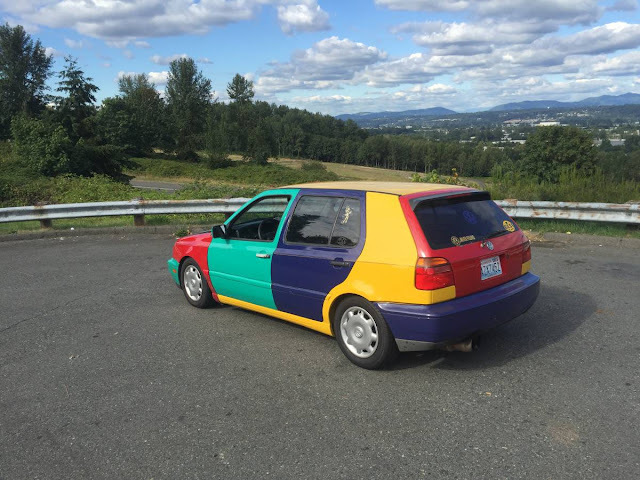 This car won't be useable for taking the kids to school or picking up groceries from your local megamart, but it'll tackle the next 24 Hrs of LeMons, Chumpcar, World Racing League, Silver Cup East Race Series, Star Productions Rat Race, Roll-X, or American Endurance Racing (AER) race event. Even with the worst pile of parts, you won't find a better way to spend a weekend than at one of these races, but budget at least $1000 for entry fees, consumables, and fuel, per person, per race -- after you build the car. 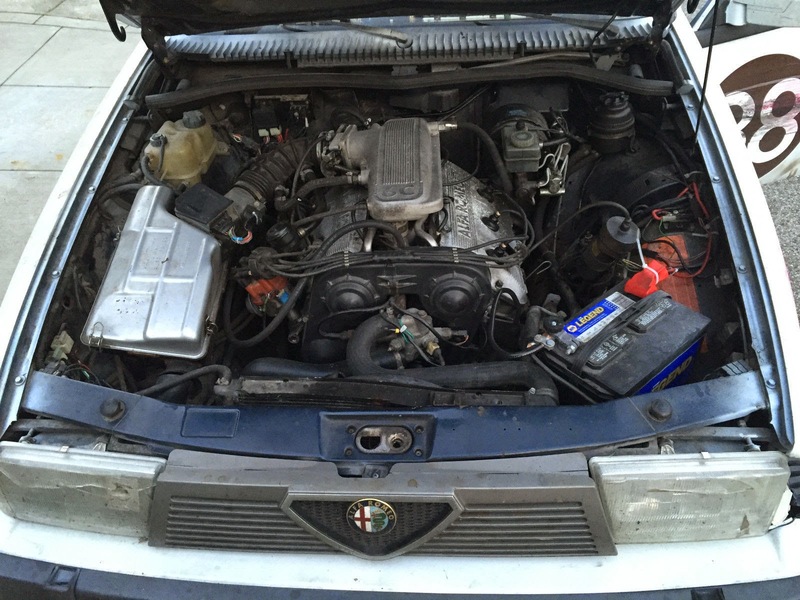 Under the hood is Alfa's V6 that displaces 2.5 liters and puts out 154 horsepower -- into a 5-speed manual gearbox that is connected to a de Dion tube suspended rear end. 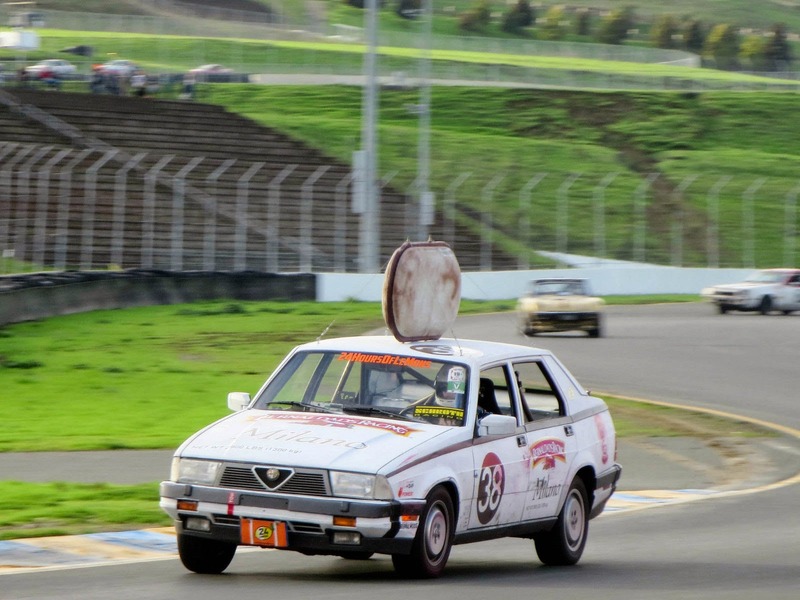 The seller says the car is smogged and registered for the street -- he even drove it to/from the last race in Sonoma. 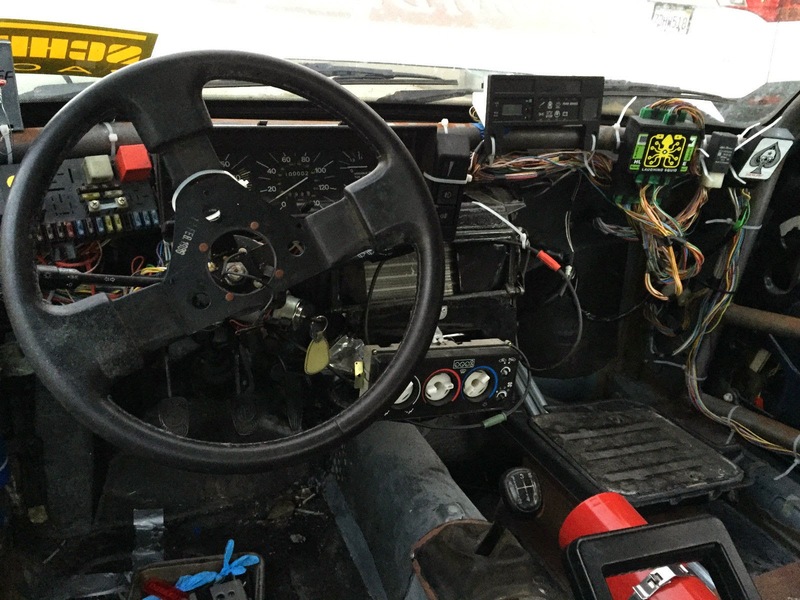 The interior has been fully gutted for racing and sports a full cage with racing seat and racing harness -- all required stuff for your favorite junker racing series. All of the electronics zip-tied to the dash might seem a bit ridiculous, but the ability to quickly replace fuses/flaky electronic boxes is important when you are in a 24 hour race with a pile of parts. Milano on the roof!!! Epic! I hope it is a Mint Milano. I love and have owned several ARs and they've all been surprisingly good cars. Never had a Milano. Make mine a Verde and sign me up! Too bad we never got the turbo here in the States, though that wouldn't have sold any more cars. My local dealer just put up their AR signs, but they don't have any cars yet. That looks like a lovely V6 engine, surpised that it only puts out 154 HP with 2.5 liter motor in 1987? The slant 4 (1/2 v8) in my P 944 puts out 160 hp with 2.5 liters and does not look as pretty! Too bad that installing a non-standard motor takes so much effort, it would look good in the 944, but might need a hood bulge..
2:12 is okay. An E30 will go faster. An E28 will go faster. A Fox Mustang or third-gen Camaro will go faster if prepped properly. Several others. But the Lemons organizers are into 'affirmative action' and the above vehicles are disfavored. Volvo 240s right now seem to surf the break between class A competitiveness and organizer saturation. The big disadvantage of running something like this is the comparative scarcity of cheap parts. Find me a $100 Peugeot 505 Turbo and I'll wipe the field. After I find a head gasket.